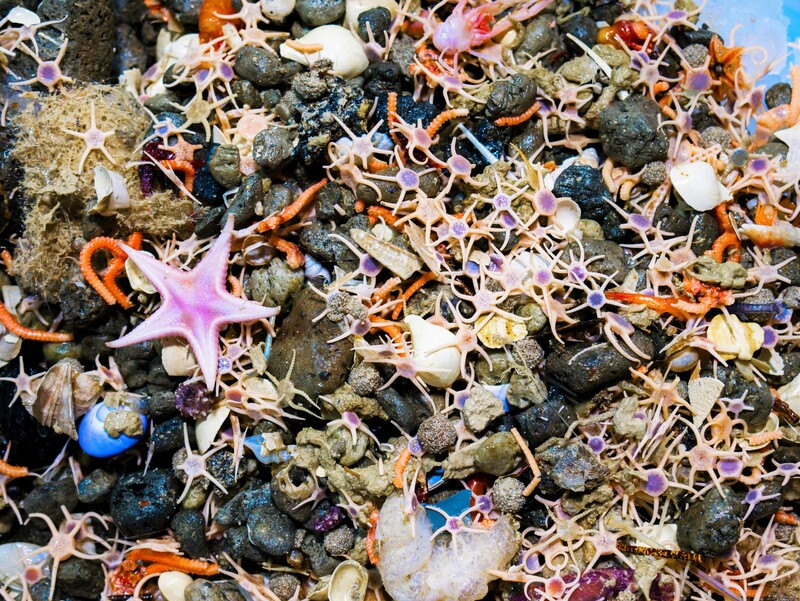 A kaleidoscope of brittle stars collected from the abyss (2500m). Image Asher Flatt/CSIRO. It turns out that the cold doesn’t make everything shrink, for some things it might actually help them grow! New research reverses ideas about ocean biodiversity revealing that species are actually evolving fastest in Antarctica. And you might even say the answer was written in the stars. The research has just been published in Nature and uses data collected during 2017’s pioneering ‘Sampling the Abyss‘ voyage which was led by Museums Victoria aboard our research vessel Investigator. Who could forget faceless fish and his many funky friends found on this voyage! 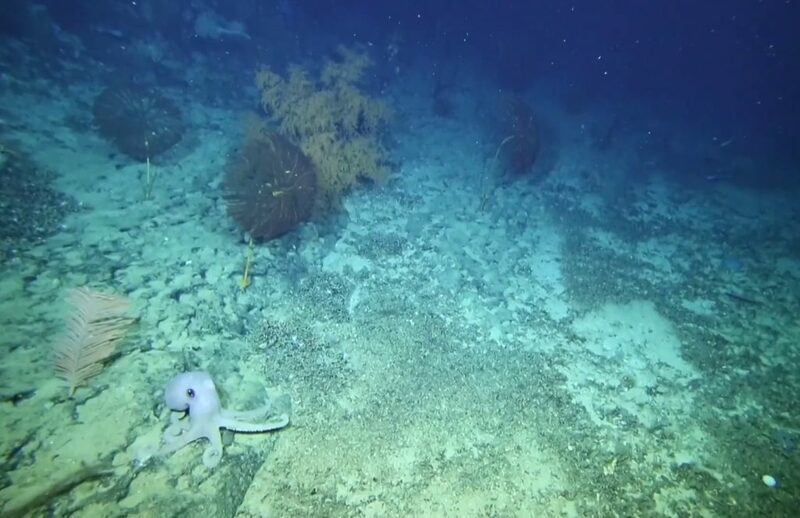 The month-long voyage explored, for the first time, the abyssal ocean depths off the east coast of Australia, discovering many new, unusual and surprising finds. And this new research brings even more surprises – it turns out that our marine mates don’t need a tropical vacay to flourish. 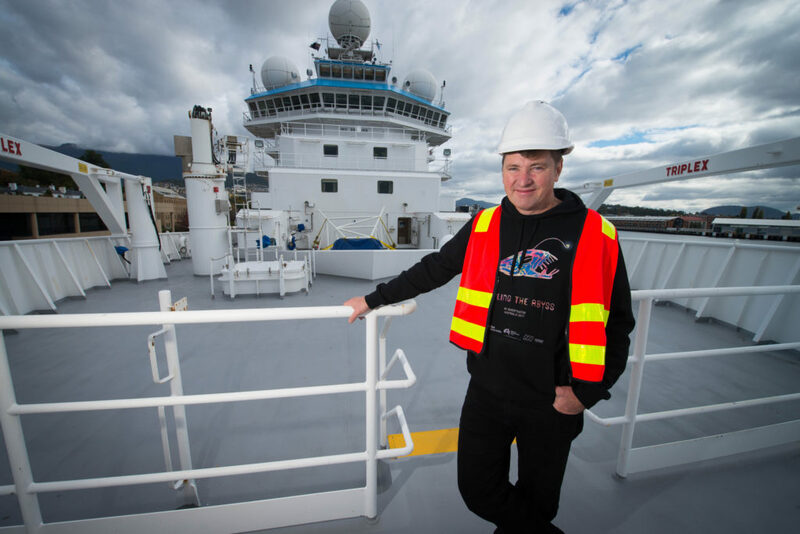 Dr Tim O’Hara from Museums Victoria led an international team of scientists on the 2017 ‘Sampling the Abyss’ voyage. Image NESP Marine Biodiversity Hub/CSIRO. To study patterns of evolution across the world’s oceans, a research team led by ‘Sampling the Abyss’ Chief Scientist, Dr Tim O’Hara from Museums Victoria, focused on the evolution of deep-sea ‘brittle stars’ (Ophiuroidea). These strange, spiny echinoderms with a typically circular body and five long, flexible arms, are abundant on the seafloor globally. They are the vacuum cleaners of the deep ocean, eating dead organisms or organic debris that sinks down from shallow water. There are over 2000 described species of brittle star and they have stalked the seafloor for about 480 million years. Although they will be unfamiliar to many, their abundance makes them the perfect group for studying large-scale patterns of how marine life arose and spread around the planet. Monkey brittle star Amphiophiura bullata. Image Rob Zugaro/Museums Victoria/CSIRO. Ophiuroidea, deep-sea brittle star. Image Rob Zugaro/Museums Victoria/CSIRO. In this new research, Dr O’Hara and his team used a new technique called ‘target-capture’ and an innovate next-generation sequencing platform to hook out and sequence about 420 genes from some 600 species of brittle star. 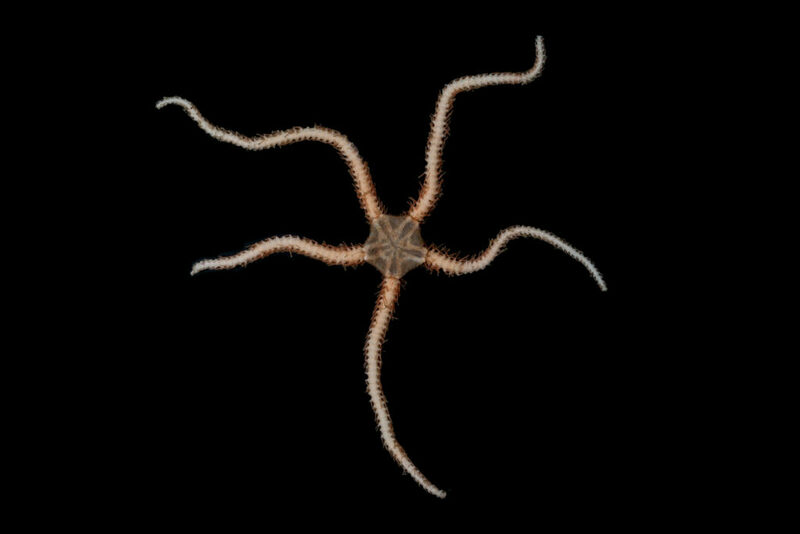 The results provided a DNA ‘road map’ (or maybe that should be ‘star chart’) that was used to reconstruct a picture of how brittle stars have evolved across the Indian and Pacific Oceans in the southern hemisphere. 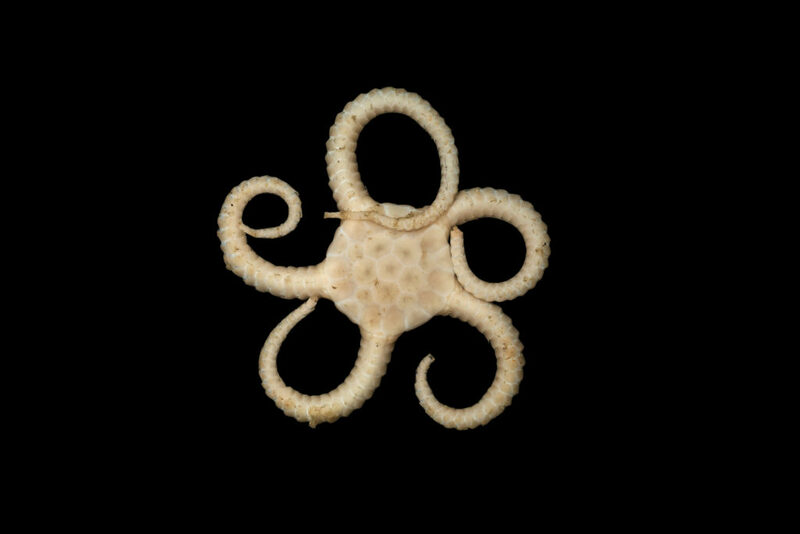 As well as specimens from the Sampling the Abyss voyage, the research included other museum specimens of brittle stars from north of Australia down to Antarctica, from shallow water to the abyssal plain. “Museum collections are a treasure house of preserved biodiversity collected from thousands of scientific expeditions. Sequencing the DNA from these specimens can unlock the history of life on our planet,” explained Dr O’Hara. Biologists have long speculated that evolution is accelerated by relatively high tropical temperatures, with development being slower in cooler and deeper waters. However, this new research finds that evolution does not follow one course, but rather depends on the geological, climatic and biological history of each ecosystem. Evolution proceeds differently in shallow and deep seas. This new research found that, in deep waters, speciation (the formation of new species) was highest in the coldest region: Antarctica. These waters appear to still be recovering from extinction events from tens of millions of years ago, when ice sheets began to dominate, and water temperatures plummeted. New species that evolved as a result are still in the process of diversifying, and are doing so rapidly. By contrast, although the number of species in tropical deep seas (deeper than 200 metres) is higher, it is not an environment that is rapidly producing new species but rather accumulated its rich biodiversity over millions of years. Tropical deep seas are a refuge for ancient fauna, or ‘living fossils’, mainly due to relatively stable conditions over time. The deep sea is the world’s largest ecosystem, an ancient ark of relics from the dinosaur era, where ‘living fossils’ survive at the same time that new species are fast evolving. These environments require as much protection as more famous and familiar habitats, like coral reefs and mangroves. Yet a lack of knowledge about marine life in these dark waters has made it unclear how best to protect and preserve these environments from human exploitation like fishing or deep-sea mining. Dr O’Hara and his team hope this paper will be the first stage of a global project, to shed further light on processes of evolution in precious deep-sea environments, and how we can best protect them. Octo-bomb! Our research vessel Investigator provides a platform for vital research that improves our understanding of the deep ocean and all the unique life it contains. Image CSIRO. Read the Museums Victoria media release. Take a peek at what we've found down deep! I’m glad my taxes support your Activities. !